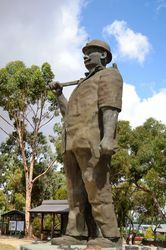 Map the Miner is a monument to the contributions of the Cornish miners in the Kapunda and in other mines in South Australia. 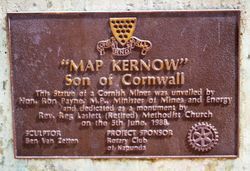 The statue was named Map Kernow, being the Cornish dialect for `Son of Cornwall`. 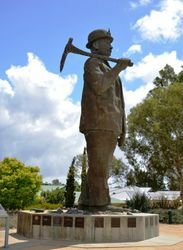 The Kapunda mine, established in 1844, was the first successful metal mine in Australia and contributed greatly to the economic development of South Australia. 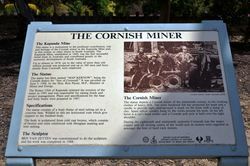 Up to its closure in 1878 ore to the value of more than £1 million was produced and up to 340 men and boys, mainly from Cornwall were employed. 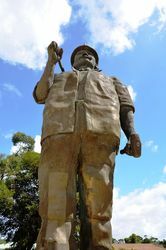 This statue of a Cornish miner was unveiled by Hon. 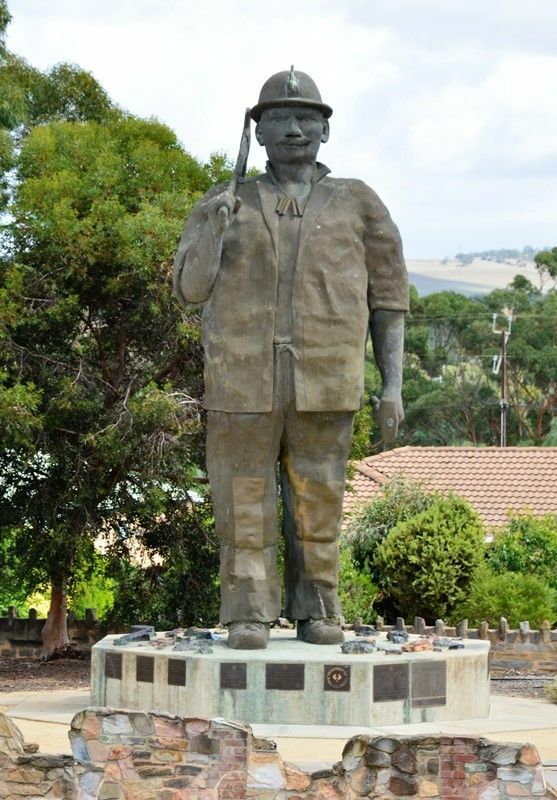 Ron Payne, M.P., Minister for Mines and Energy and dedicated as a monument by Rev. Reg Laslett (retired) Methodist Church on the 5th June, 1988.